Since I was feeling a little better by this afternoon, I decided I needed to finally work on my obsession – Mason jars. I have learned that you can use these damned things for everything. From salads, to smoothies, to overnight oatmeal. And yes, I have used mine for all three. 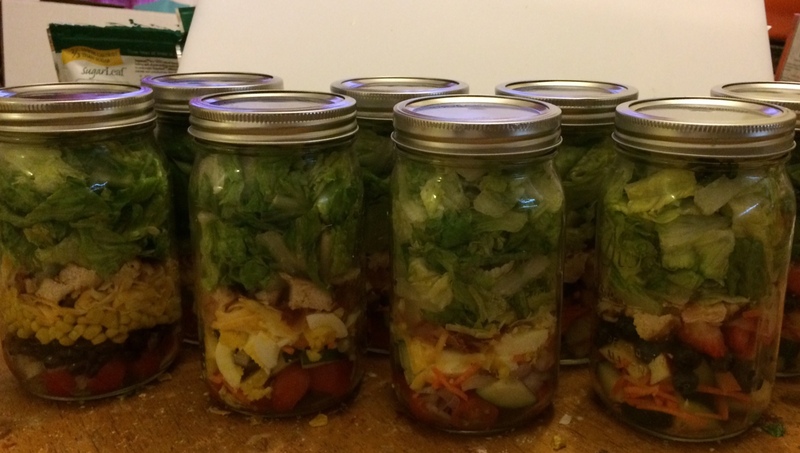 I had originally gotten quart jars to use with salads, and then I decided I loved the way they stored my salads, I wanted to get them for everything. So now I have pint and half pint jars as well. There are several recipes to get you started, and I have tried some of them. However, I do have one tip that was told to me about one of my husband’s friends. She did the mason jar salads all of the time, but she said she never put the dressing in the bottom of them, she just put dressing in little cups on the side she would add to the salad when ready to eat. By doing this you could leave them in the fridge longer. So I tried this and mine lasted 7 days without any effects, while most of the salads are said to only last up to 5 days. Yeah! I haven’t tried any of the salads with dressing at the bottom, because I haven’t seen the need to. But oh boy, this crap takes a long time to do. I prepped 8 salads, 4 for me and 4 for hubby. I had meant to just make 6, but I mistakenly added tomatoes to to two jars that didn’t need tomatoes, so I decided to make some extra. Which means I had less chicken to put in each jar, but oh well. I also realized that the big 2 lb bag of shredded romaine I get at Sams’s makes approximately 6 Mason jar salads, but I had 8. One of my salads called for spinach and I just put spinach in another one of my jars. Hey, you got to do what you’ve got to do. At least they are done. 4 salads for me, 4 for hubby. So I’m committed to eating all 4 for lunch over the next week, and really, I have no reason not to. My only hitch is that I am out of town most of the day for work tomorrow, but I have a salad container with a part you can freeze to keep it cold, so I may do that instead, stop and just get something to drink, and eat in the state car. What a sight I will be, lol. I must also say that I absolutely LOVE this larger cutting board I have behind the jars, because it allows me to work on multiple things at one times, which is crucial for your sanity when you are making 8 salads. So hubby got 2 Cobb salads and 2 fruit and veggie salads (which are my knock-off Chick-fil-a Market salads). Since I like a bit more variety in my salads, I’ve got a Cobb salad, a fruit and veggie salad, a Mexican chicken salad with black beans and corn and a mozzarella and tomato salad with spinach. Yum. Hopefully I’ll still be feeling that way after the week is over. 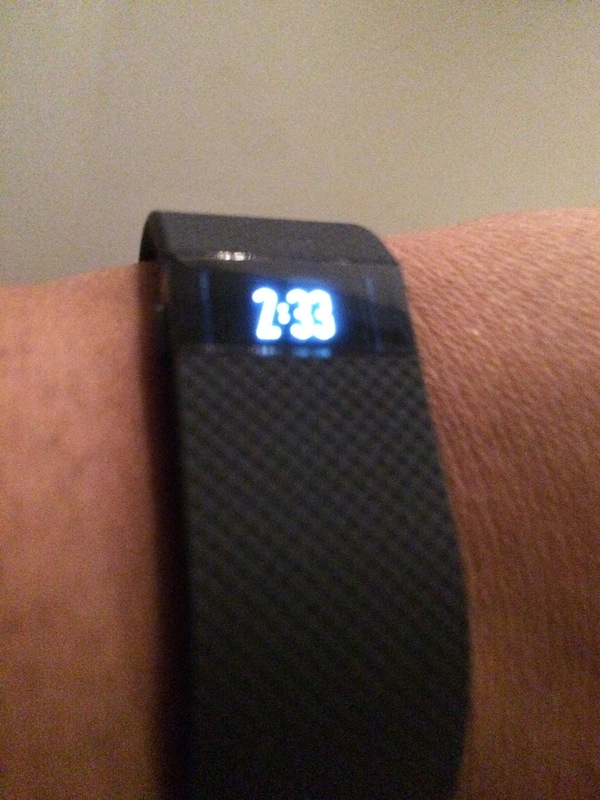 And today, the last gadget I am getting for awhile arrived. Luckily I didn’t pay for it, when I told my mom about it, she graciously paid for me to have one. Not too bad considering I haven’t done too much today. 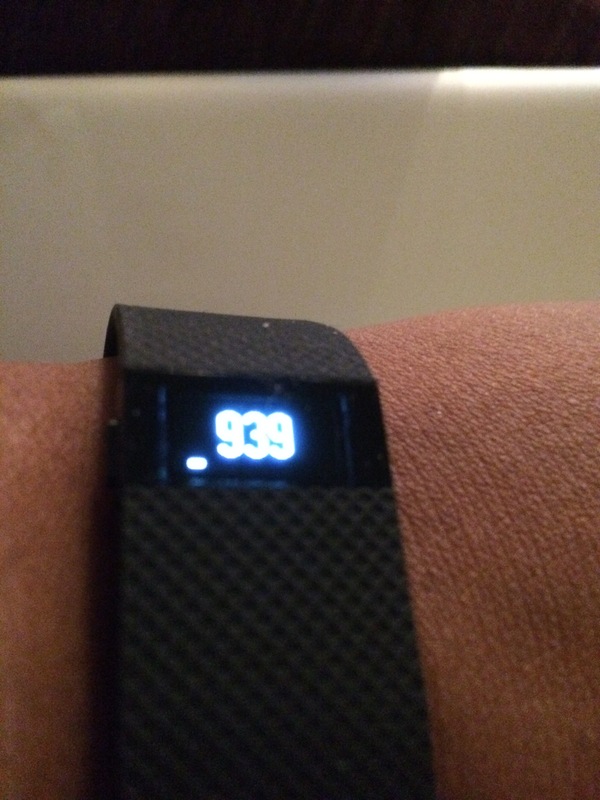 I think I may have to figure out how to calibrate this or something, because I don’t think it is very accurate to my actual steps, it overestimates them. So I don’t really believe it but at least it shows some progress. In the manual they say they calibrate it based on your gender and height, but I must take bigger strides for my height, it seems. I only met my goal of drinking 64 oz. for the day, damn it. I guess this is what happens when you are still sick, because all you want to do is rest during the day, which means I cannot go to sleep at night. You also end up smacking at night because you haven’t eaten much all day. I know, excuses, excuses! Excuses won’t help me get things done, so I’ll keep on working at getting better. I didn’t even have a green smoothie yesterday :-(. For the first time since I started a few weeks ago. Not ideal, but I’ll keep on keepin’ on. At least I’ve got several lunches already prepared, which should be a huge benefit.